I love cupcakes. Who says they are just for kids? They are just fun. These cupcakes can be frosted with white or chocolate frosting. These are very easy to put together. And ever so yummy! You will need liners and pans for 12 regular size cupcakes,6 extra large cupcakes, or 42 mini cupcakes. Stir the flour, baking powder, baking soda, and salt into a bowl and set aside. In another bowl, beat the egg, yolk, and sugar til light colored and thickened. If using a mixer, this will take just a couple minutes. Mix in the oil and vanilla extract. Add the sour cream and blend til no white streaks remain. Add the flour mixture and beat until batter is smooth. 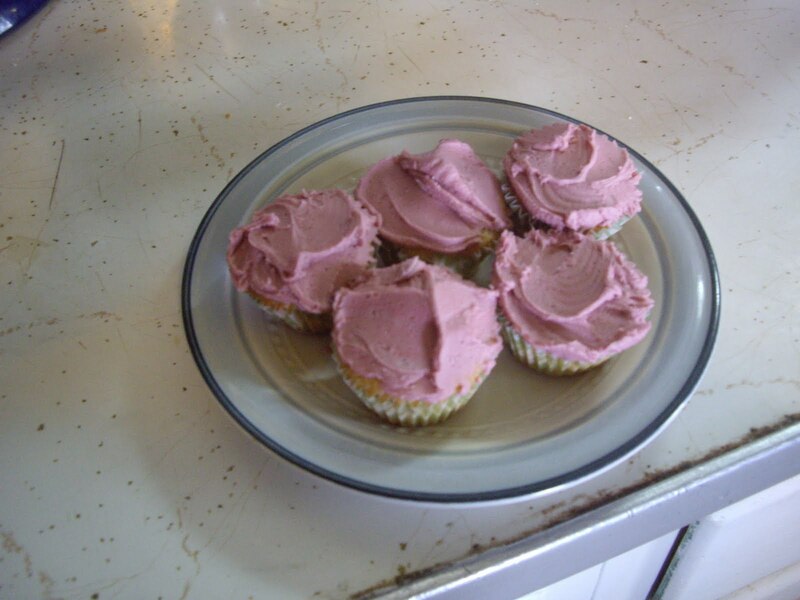 Divide the batter among the cupcake liners in whatever size you are using. They are done when the tops spring back when lightly touched. Turn out of the pans and let cool. Eat or frost and eat. Enjoy!